That’s the end of this story. Thanks for reading as always; in particular I appreciate the feedback I’ve gotten on this one. It warms my heart you guys. Thanks. I’ve been under the weather for a couple of weeks now, and there may be a wait between now and the next comic. I’m hoping to feel swell in a few days. Then maybe something a bit funnier! Wow, this choked me up somethin' fierce. Hit a little too close to home. Interesting ending to the arc. 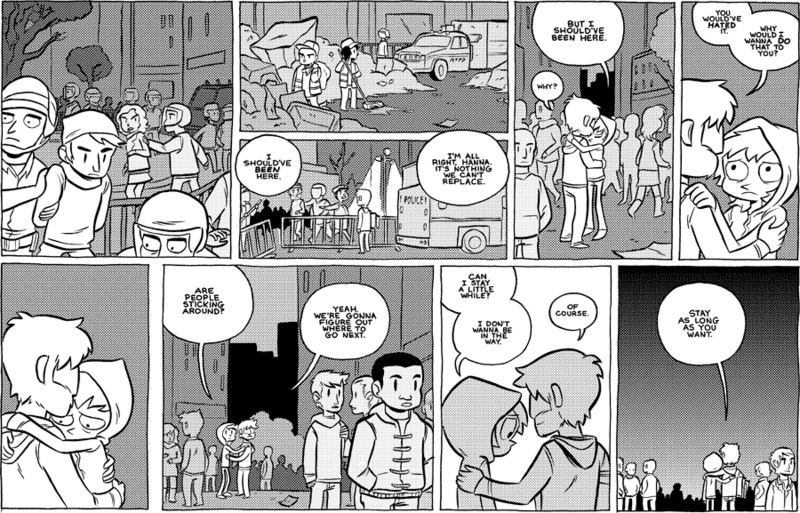 I love how big an affect a COMIC has on the real lives of real people. FAwesome! I'm reading this post-break up, and crying my eyes out. Going back now that's the comic ended, this definitely feels like the turning point to me. The evolution of Hannah and Eve's characters, and the way in which they kinda "switch," while really only being who they've always been, is what keeps me in love with this comic no matter how many times I reread. I had thought this comic was perfect up to this point. The back half is downright incredible.